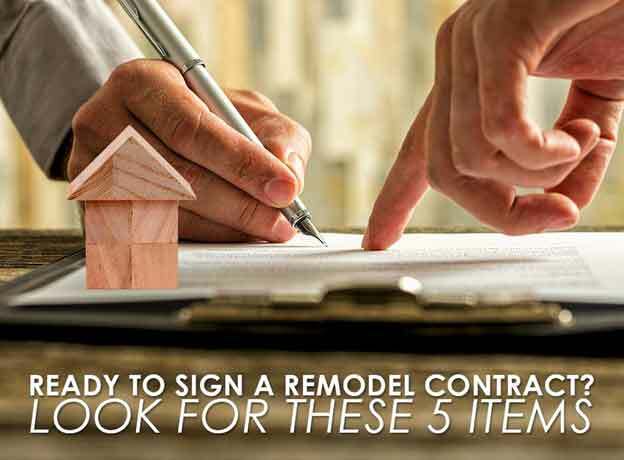 Signing an official contract is a major step to preparing for a successful home improvement project. A comprehensive contract can give you legal protection and assurance that your project will be completed on time and at the right cost. In addition, it ensures that a remodel warranty will cover all expenses for unexpected issues during the job. 1. Proof of Licensure and Insurance – Hiring someone with no proper licensing might forfeit state or local enforcement assistance if something goes wrong with your project. Licensing and insurance policies serve as your protection against property liability and job-related injuries. 2. Scope of Work – This defines your expected project outcome. It includes an outline of all the work, materials, and products necessary to complete the job. This also indicates that your choice of Detroit roofing company will obtain all the required permits to rid you of stress and hassle. 3. Job Duration – Your contract should indicate the estimated start and end dates for your project. The point is to ensure that both parties have an understanding of when the job will commence and when it will be finished. 4. Detailed Outline of Costs and Materials – This includes an itemized list of labor, materials, and other work-related costs. If you want a specific brand for your products, discuss it with your contractor to find the right materials, complete with warranty information. 5. Payment Schedules – Paying a deposit is reasonable; paying the full price upfront is not. While payment schedules vary by the job and by the contractor, keep in mind that they should always be agreeable to both parties. When planning for a major roofing project, such as replacement, be sure to work only with professional Michigan roofing companies, like Kroll Construction. We understand that it is our job to give you complete peace of mind by including these items in our contract. With us, you can rest easy knowing that your project is in good hands. To schedule a FREE consultation, call us today at (888) 338-6340 or complete our form. We look forward to working with you!